This was one of my first conferences outside the Internet Marketing industry and I mostly went to it to expand my horizons and see what successful SaaS companies are doing. Coming from a bootstrapped and ROI-focused background, what struck me as strange was the definition of success (or at least a path to success) for these SaaS companies. A lot of the speakers came from companies that made $10M+ ARR which sounds quite impressive, however, soon after you learn how many employees they have and, for me one of the most important metrics, how much revenue per employee they make. My friends and I calculated the numbers for a few of the more advertised companies and they shocked us. One company, and mind you these are companies based and operated in the west, not outsourcing 90% of their business to low-cost countries, had a total of 50,000 EUR revenue per employee. That number is closer to old labor-intensive industries and not what you’d expect from a SaaS company. There is absolutely no chance they can make any serious profit on those numbers. The only explanation for that is that since these companies are also mostly VC-backed, the whole philosophy is “go big or go home”. Investing literally everything into people to grow the business as much as possible, as fast as possible. Very far from where I come from where one of the metrics we follow is revenue per employee (keep it above 100k/year) and even actual profit at the end of the year. On the first day, there were workshops all over the city. We listened to talks from people from Bynder, Typeform, and Drift. By far the best talk was done by Guillaume Cabane, VP of Growth at Drift, though most of the examples came from his work at Segment.io. He showed how far you can go with personalization on landing pages. If you start your signup process with email, you can use third-party services to try to predict the industry of the company. That means that in the next step you can personalize it with customized testimonials, call to actions and features. You can go further than that – when you ask the person signing up for the position, note that and send personalized onboarding emails. Don’t send technical docs to a marketer and don’t send marketing features to a developer. For big companies, they go even further and if they find a large company’s IP that is on their target market list, they customize the whole landing page. Think being from SalesForce and landing on a page which says “This is how SalesForce can be more efficient”. Amazing (and a bit creepy). Services mentioned: ClearBit, MadKudu, Datanyze, Apptopia, Bombora, PredictLeads, Sendoso, Postmates. This talk was nothing less than mind-blowing and worth the ticket fee for the whole conference. Unfortunately, I haven’t noted the speakers here. These are from different talks on day two. Segment – start with one niche; Freshbooks looks at only 5! 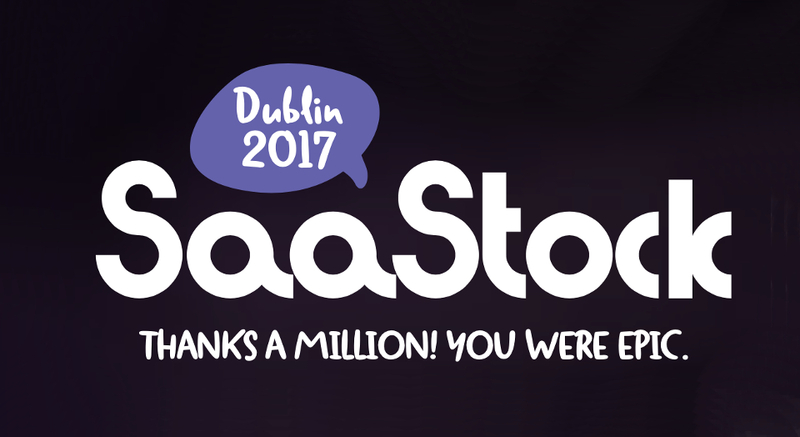 Really impressive start and growth – €10M ARR in 2 years, 6 months to €1M ARR.